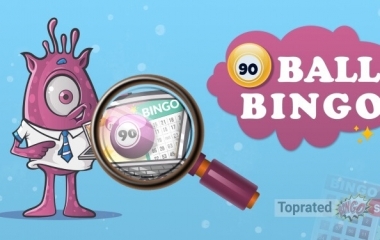 90-ball bingo is customarily found in the UK, and with its history rooted firmly in our heritage, it is considered to be the nation’s favourite. It’s also highly popular in New Zealand and Australia, and it’s rapidly growing in strength within the US too. So, what is it about this particular variant that has allowed it to stand the test of time? Well, its popularity can largely be attributed to the speed of the proceedings. This game is played at a much faster pace, and many players find this an appealing aspect. The style of play calls for greater concentration too, as there is a lot more going on. Overall though, this variation provides the highest level of entertainment, and perhaps this is why it has stayed the distance. In this version of the game, every ticket consists of 3 horizontal rows and 9 vertical ones. Each line has 9 boxes – 5 of these contain numbers and 4 are left blank. The total on each card, therefore, is 15 numbers, and these are systematically arranged across the nine columns. The first row holds a selection from 1-9, the second from 10-19, the third from 20-29, and so on. The tickets are usually purchased in strips of six cards, with each number from 1-90 appearing across the set once. At the online venues, the numbers are allocated randomly by the RNG (random number generator) software. 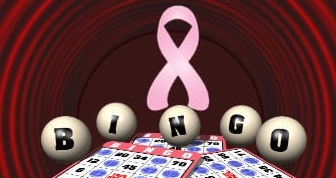 Understandably, some players have an aversion to certain numbers – bingo and superstitions tend to go hand in hand – and so, in most cases, it’s possible to swap the tickets for another set if the selection doesn’t appeal. The chances of success are based on the various combinations that can be formed. There are only 3 winning possibilities, and usually, this equates to 3 prizes. There tends to be smaller awards for completing 1 or 2 lines. The largest payout goes to the first player to get a full house by crossing off all the numbers on a card. The return to player rate for 90-ball bingo is around 70%. That said, it’s perfectly possible to win all three of the prizes in the same session. Once the 1-line prize has been secured, the round moves on to the 2-line award, and then to full house. The proceedings will pause temporarily every time there is a winner, and the names will flash up on the screen, along with the sum that has been won. Some of the games are marked 1TG (one to go) and 2TG (two to go). These versions give you the opportunity to receive a small award if you are only one or two numbers away from a full house at the end of the round. Many of the online games are themed, and interestingly, some of these variants enlist celebrities from the show to be the caller. For ‘Who wants to be a Millionaire’, Chris Tarrant carries out this duty, and for ‘The Chase’, the chasers take turns to do the honours. In ‘Coronation Street’, the numbers are announced by either Reg Holdsworth or Fred Elliot, and in this game, alongside the standard ‘legs eleven’, there are some unique calls used. Number 10 is announced as ‘Rita’s Den’ and number 90 is called as ‘last orders at the Rovers’. This theme continues with the prizes on offer. The winner of the full house gets to daub one of the numbers on the special Golden Cobbles ticket, and there is also a separate Corrie Jackpot, which can be won on 31 calls. Probably best of all is that some classic clips from the show are shown between the rounds, and it’s fun to see the well-loved characters like Annie Walker and Hilda Ogden in action once again. Some of the 90-ball games have fixed prize funds, and these can take place on a daily, weekly, or monthly basis. 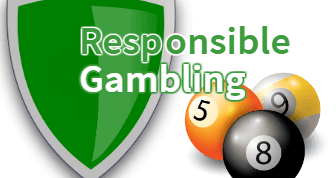 Others have progressive jackpots, and this is usually shown by the symbol, PJP. These can be structured in several different ways. In a few of the games, part of the prize is shared among all of the players, whilst in others, the whole sum goes to the lucky winner. In Turbo Bingo, for example, there is a Speedy Cash Climber, which begins at £2,500, and it increases whenever tickets are bought. This is awarded if a full house is reached within 38 calls or fewer. Coverall in 39 balls or less and win the progressive jackpot + the specific jackpot for that game. Plus, 1000 JPs are up for grabs daily at the fun trivia chat game. Themed after the popular TV show, this glamorous room offers the chance to win up to 6 cash prizes. Join in every day from 9am till 11pm and play for the special bonus prizes! Not everyone can get the 7-figure jackpot, but the game based on the popular TV show offers prizes for full house, 1 and 2 lines and a Phone a Friend lifeline. Many of the games have bonus features, such as the judge’s jackpot in Britain’s Got Talent or the banker in Deal or no Deal, and others have some one-off prizes. 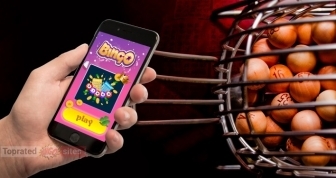 With such a range of themes available and the varied prize funds on offer, it’s relatively easy to see why so many players opt for this particular style of bingo.